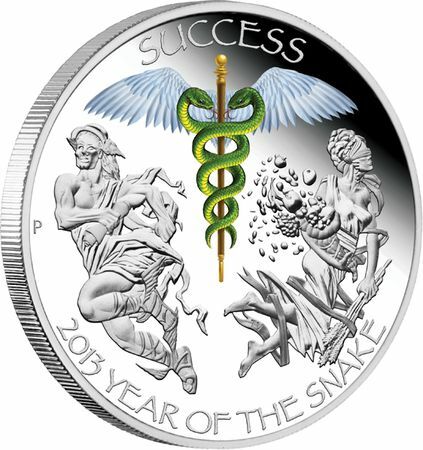 Celebrating the Year of the Snake and the ideals of good fortune, this stunning 1oz silver proof coin is released to encourage success. 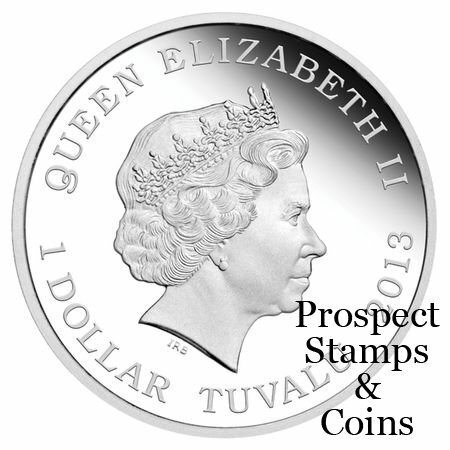 Issued as legal tender under the authority of the Government of Tuvalu. 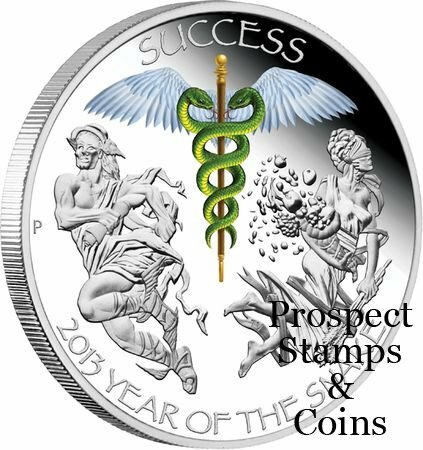 Only 2,013 of these Perth ANDA Coin Show Specials will be issued for the event. 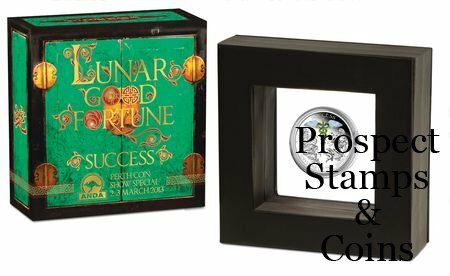 Each coin is housed in special ANDA presentation packaging, making it an unforgettable memento from the show. The reverse of the success coin depicts a representation of the staff or caduceus of the god Mercury, featuring two snakes and wings, adjacent to the Roman gods Mercury and Fortuna, both symbolising success and abundance.